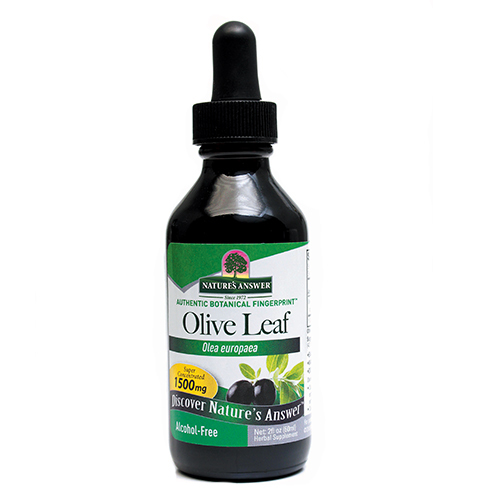 Nature`s Answer Olive Leaf is an alcohol-free, kosher fluid extract that promotes a healthy body, offering 1500mg per serving. OleoPein (Oleo europaea) Leaf Extract. Other Ingredients: Vegetable Glycerin, Purified Water, Gum Arabic. As a dietary supplement take 1.5ml (42 drops), 2 times a day in a small amount of water. 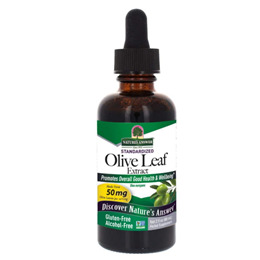 Below are reviews of Nature`s Answer Olive Leaf - 60ml by bodykind customers. If you have tried this product we'd love to hear what you think so please leave a review. We use this when we feel colds coming on. It seems to reduce the symptoms or even ward it off altogether. It tastes disgusting in most liquids but we disguise it well mixed into fizzy ginger beer. (Even ASD son will take it like this - think he enjoys the chance to have ginger beer!